Teíkitevaámanihií Robert Huukena, known as Teíki, is a Tuhuka Patutiki (Marquesan tattoo artist). He is from a large family of artists from Nuku-Hiva. 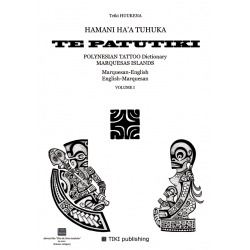 His love for his ancestors and his passion for the art of the Tiki (image), in particular the Patutiki, led him to make more thorough research, redrawing and classifying every symbol of the Marquesian tattoo in order to better deliver his Meanings and finally make his comprehension accessible to all. 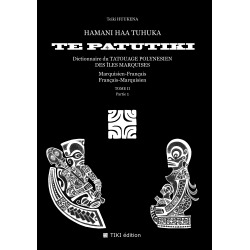 Through this work he wishes to pay tribute to his homeland Te Henua Enana (the Marquesas Islands) and to his ancestors the Tupuna.